Villa Mercedes sits in a prime location on San Antonio’s marina – ideal for a relaxed yet sophisticated dinner, after sunset cocktails on the bustling sunset strip. 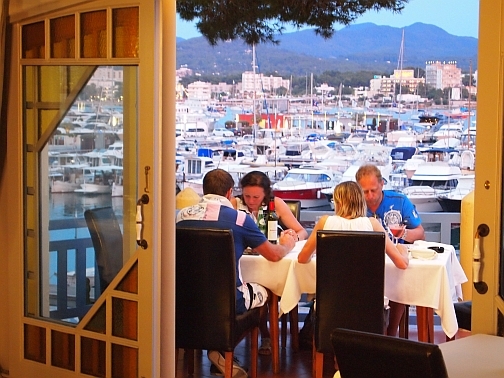 Dine in one of the raised terraces overlooking the marina at sunset, or sit in in the terraced garden beds amongst the trees to enjoy the BBQ and cocktails. Villa Mercedes built in 1901, brings a touch of class, history and quality to San Antonio. 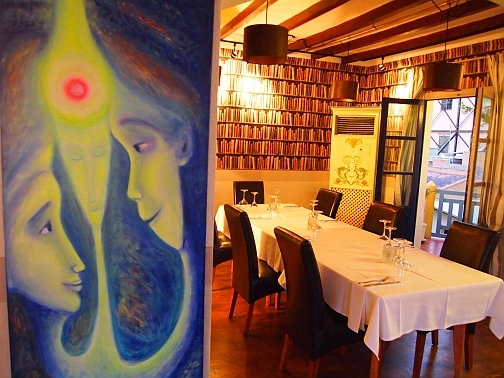 The decor is dreamy driftwood mixed with colonial influences; the service from Javier, Josh, Sam and the team is charming, and the food is a divine fusion of Mediterranean with Asian touches. 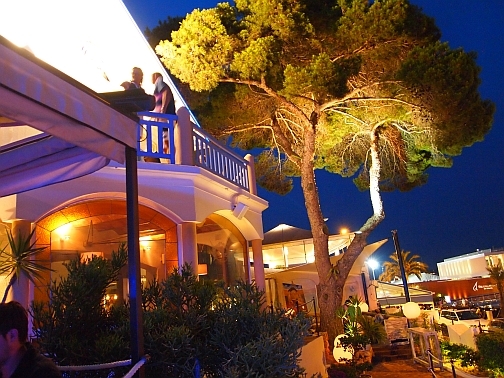 Villa Mercedes creates its own atmosphere with live performances and entertainment from world renowned artists such as Paco Fernandez who plays on Fridays throughout the summer. 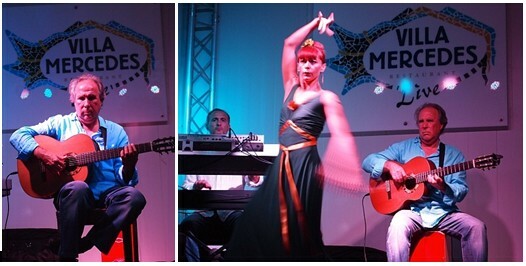 This is a great venue to enjoy Paco’s live guitar music and flamenco shows up close from the Villa Mercedes stage. Drive past the egg monument along the San Antonio marina – Villa Mercedes is on the right with views across San Antonio marina and bay.